How to edit your new video easily and without spending much time studying complex programs? Most likely Movavi Video Editor is the tool you need. This is a brief overview of its features. Which HelpDesk do I choose if Zendesk doesn’t work for me? 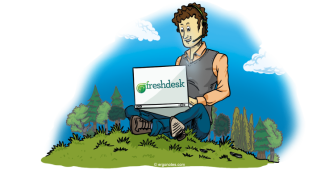 In this article I am going to explore three possible alternatives to Zendesk. HelpDesk, entwickelt von Freshdesk, ein Unternehmen aus Indien, ist einer der Top-bewerteten Dienstleistungen nach mehreren Bewertungen. Lesen Sie diese Bewertung, um herauszufinden, wie sie so populär geworden sind und was ist so besonders an Freshdesk. There are not too many HelpDesk systems which offer their clients free plans. We have handpicked three most popular systems which can be used for free with limited functionality and number of agents. In this express review I would like to show you how to make a simple screencast on Windows PC with Movavi Screen Capture.